Team Love are a Bristol based company specialising in festival and event production. We have the experience, knowledge, skills and expertise that can only be gained from years of involvement in an extensive range of high profile festivals and events. Our core team has worked as part of the production team on numerous major UK festivals that include Glastonbury, Leeds, Latitude, Bestival, Boomtown, Shambala, Secret Garden Party, Wilderness, Parklife & The Big Chill. Team Love programme some of the most exciting stages across the festival circuit including Glastonbury’s massively popular Wow! stage, which has become the festival’s go-to destination for forward-thinking dance music under the team’s direction. In addition to heading up the Wow!, company directors Tom & Dave assist in programming for the Silver Hayes area of Glastonbury as a whole, bringing some of the world’s biggest underground acts to Pilton each year. Whilst Dave plays out regularly as a DJ, he is also a Director of Futureboogie – the record label, artist management & booking agency responsible for putting on hugely successful parties across the country. Team Love have also booked and run stages at Secret Garden Party, The Big Chill, Somersault, Wilderness & Glade, not to mention frequent forays into the international scene- the crew handled advancing, booking and delivery for The Garden Festival in Croatia. Team Love have now taken the reins of it’s new incarnation – Love International. Team Love are able to deliver full event production. Specific areas of expertise include site planning and management, technical production, creative production, accreditation, artist liaison, artist advancing and guest list management. Our diverse experience extends further than the festival field to cover a wealth of other areas, including large private events for corporate clients, charity dinners and club promotion. We work closely with Red Bull Music Academy, providing production management services for a number of their key events. In 2012 Team Love realised a long-standing dream and utilised our skills to build a festival from the ground up, assuming responsibility for all aspects of licensing and production in-house and programming a line up comprised of internationally renowned DJs and performers as well as fresh talent from the UK scene. Entitled ‘Love Saves The Day’, the festival proved to be a phenomenal success and sold out with weeks to go in its first year. Since then, the event has grown year-on-year in terms of both size and artistic remit, expanding into a two-day long celebration of all that is good and great about underground music. Love Saves The Day 2016, 2017 & 2018 have seen crowds in excess of 40,000 attend over the weekend each year. For Love Saves the Day and all of our projects, Team Love work with a wider crew of trusted professionals, suppliers and contractors. We have established close working relationships with experts in health & safety, stage management, technical production, security, litter & recycling, site décor, steward management and suppliers of essential site infrastructure to ensure that every facet of the event is delivered to the highest standard.  Following the success of 2016’s inaugural event with headliners Massive Attack, The Downs Festival returned in 2017 & 2018 with continuing strength. The 30,000 capacity all-day event saw British rock band, Elbow headline the main stage in 2017 joined by American blues legend, Seasick Steve. 2018 brought Noel Gallagher’s High Flying Birds and mod rock legend Paul Weller to the Main Stage with Orbital headlining the Avon Stage. 2019 line-up and information to follow in the coming months.. The Wow Stage at Silver Hayes Glastonbury. Kim Murray.  Field Marketing Manager. Red Bull. At Red Bull we’re always striving to create unique events that push the boundaries of creativity. We’ve worked with Team Love for several years now, on a wide range of events and they’ve never let us down. Experts in production, artist booking and creativity, they’re been a perfect partner on a number of big Red Bull events. Lou Fitzpatrick. Assistant Co-ordinator. Silver Hayes, Glastonbury Festival. Nick Colgan. Director. The Garden Festival. We started working with the guys when we got things going in Croatia back in 2006 and our relationship has gone from strength to strength. They now look after all booking and programming @ The Garden Festival and have never failed to deliver within the budgets given. They are always on the ball when it comes to finding talent and have curated what has now become one of most respected small festivals in Europe. WE LOVE TEAM LOVE! Team love were an absolute joy to work with. Always professional, hardworking and fun. I am looking forward to having the opportunity to work with them again in the future. .insp operations bristol police. 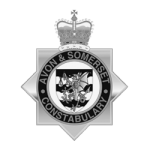 avon and somerset constabulary. I have worked with Tom and Dave for a number of years now and in particular on 2 new major events that came to Bristol, See No Evil and Love Saves the Day. Both events were ambitious in their scale and scope and thus were subject to close scrutiny and support by the Bristol Safety Advisory Group. Throughout the planning process, Team Love are accessible and open in their communication and the quality and timeliness of their planning documentration is first rate. In particular, their willingness to engage, listen and take advise from agencies is a real strength that sees them at the cutting edge of event planning in the City. Team Love have proudly produced events for the European Green Capital ­ (the prestigious award presented by The European Commission to recognise a city’s ability to demonstrate rapid progress and continuing ambition across a wide range of environmental and green business aspects) ­ introducing green policies across all of our events and working closely with suppliers who demonstrate sustainable practice. “We recognise that events of the size that we produce will inevitably have an impact. Therefore we have an environmental, economic and social responsibility to the area local to our event sites. teaming up with zeina ltd. Team Love work closely on a number of events with Zeina Ltd. – an events marketing & promotions agency specializing in festivals and live music. Working together, Team Love and Zeina Ltd. are able to provide a holistic approach to event production and marketing services, ensuring world-class delivery from concept generation to show day. Company director Zeina Raad has over 14 years experience in promotions having worked on events in Ibiza, Barcelona, and Australia, as well as for the Global Gathering Group and numerous joint ventures with Team Love. More recently, Zeina travelled to Rio De Janiero to establish a new 2000-person festival entitled More Love, situated in an abandoned train station in the city’s Centro district. The event returned in 2016, expanding into a two-day festival, blending traditional Brazilian sounds with cutting-edge underground music from around the world. Zeina and her close-knit team offer 360-degree campaigns encompassing press and PR, physical distribution, digital marketing, sponsorship, ticket selling networks, marketing concept generation and execution. Click for more information on Zeina Ltd.